Which country consumes the most chocolate? That is just one of the fun facts that I learned about chocolate at the Chocolate Tales Hands-On Chocolate Making Workshop. When a friend asked me if I would like to take this chocolate making class with her, I read a bit about it online. 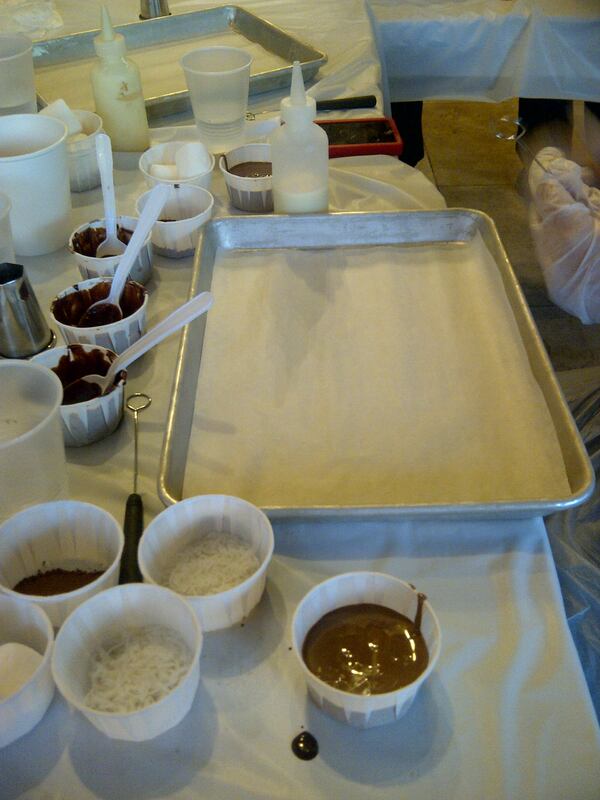 Not only would participants learn about the history of chocolate and try recipes, but there would also be lots of taste testing along the way. Because, that’s just the kind of friend I am, I said I’d do it. I mean, if I have to feed my face with chocolate all night for the sake of friendship, so be it. 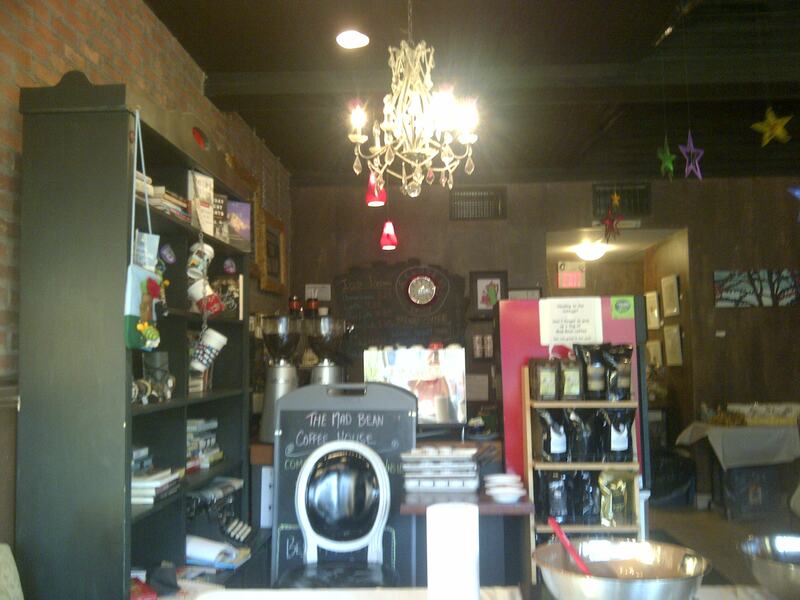 We signed up for a class that would be taking place at The Mad Bean coffee shop on Eglinton West. 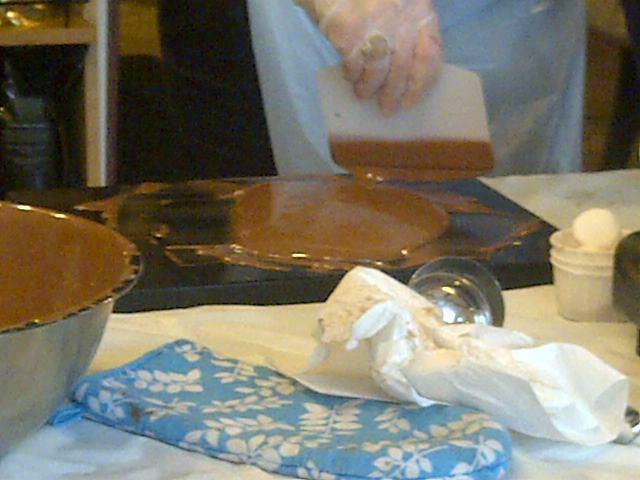 Chocolate Tales workshops are also held at the St. Lawrence Market, Swansea Town Hall and Dundurn Castle ( in Hamilton). We arrived about 15 minutes early to find that The Mad Bean was closed for regular business, so us chocolate makers had the place all to ourselves. There were stations set up with tools and ingredients for each student. Delicious , complimentary fair trade coffee from The Mad Bean was made available to us. The instructor also suggested that we have a glass of water handy to cleanse our palettes between tastings. The cups were available, but we were asked to fill them using tap water from the restroom. Both my friend and I found that odd. It would have been simple to have a pitcher of water available with the coffee? The workshop’s regular cost is $82.00. For a limited time, you can save 40% off of this price by using the coupon code, “COCOA2013” when purchasing a ticket online. My friend and I had purchased GroupOn vouchers for the event at $34.00. We were asked to pay a $7.00 fee including taxes and gratuities when we arrived. Our chocolatier, Kaeli introduced herself before beginning with a history of chocolate. Here’s another fun fact for you. Did you know that one cocoa tree only produces enough cocoa in one year for 4 chocolate bars?? No wonder good chocolate can be pricy! Now on to the fun,hands-on part. Kaeli began by demonstrating how to make a ganache. 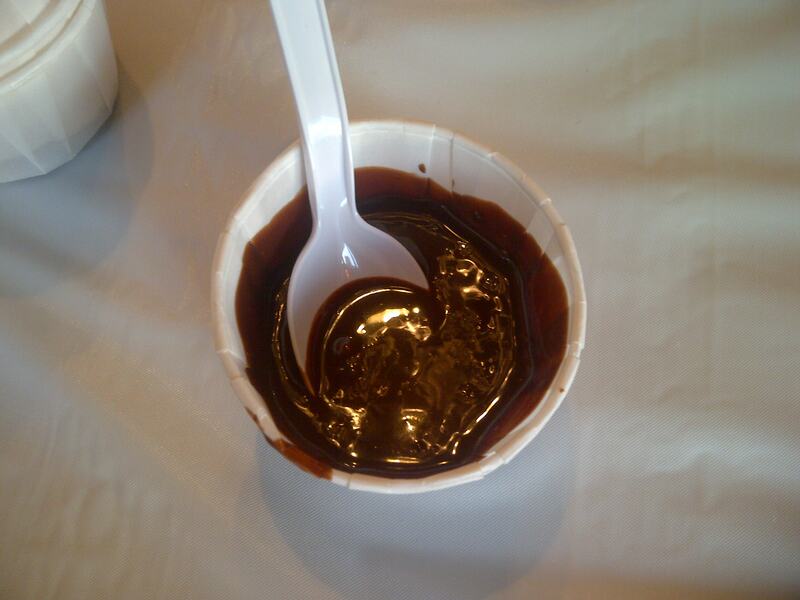 A ganache is a smooth mixture of chocolate and heavy cream that can be used for a glaze, filling or sauce. we were surprised to learn that a ganache could also be made using a lower fat milk product like skim, coconut, or even almond milk. We then taste tested ganache made with different spice additions. Cinnamon, ginger and my favourite…chilli peppers! Next we learned how to temper chocolate. Funny, as there was just a question about doing this at Food Fight Trivia Night. Chocolate is tempered to make in last longer, resist cracking, and stay shiny and glossy. 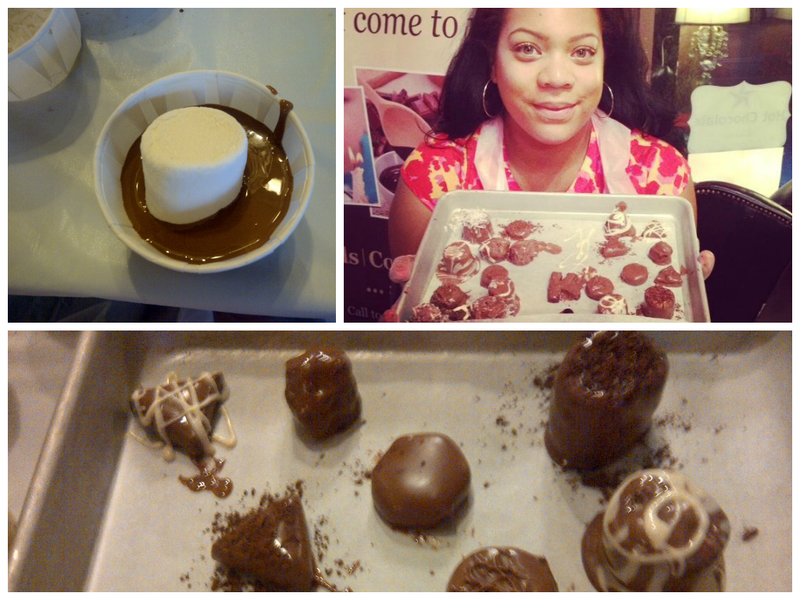 Kaeli showed us how to temper chocolate, using a chilled marble slab. Then with our fancy new tempered chocolate, we learned the Caramilk secret! I won’t reveal it here though, my lips are sealed. We made fancy white chocolate filled treats using a mold. For the final part of the class, we got to be artistic and creative enrobing and decorating truffles, marshmallows and mini molten lava cakes. Let’s just say , decorating chocolate is not my strong suit. Luckily when you throw a little cocoa powder and coconut on top no one really knows the difference. At least I’m creative. 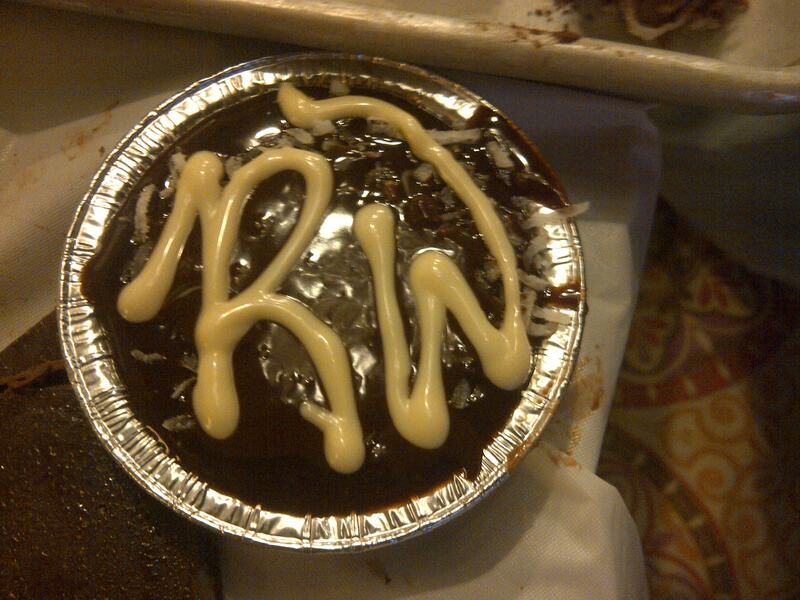 I decorated this lava cake with an “RW” for Ron Weasley, because it had ginger ganache on top. Get it? While we waited for our chocolate to set and cakes to bake, we did a tasting of pure origin belgium chocolate. Kaeli taught us how to taste chocolate carefully and slowly using different parts of our tongue, and breathing to identify notes like grapefruit within the cocoa. Lastly, we were given pretty bags and boxes to wrap our new creations. 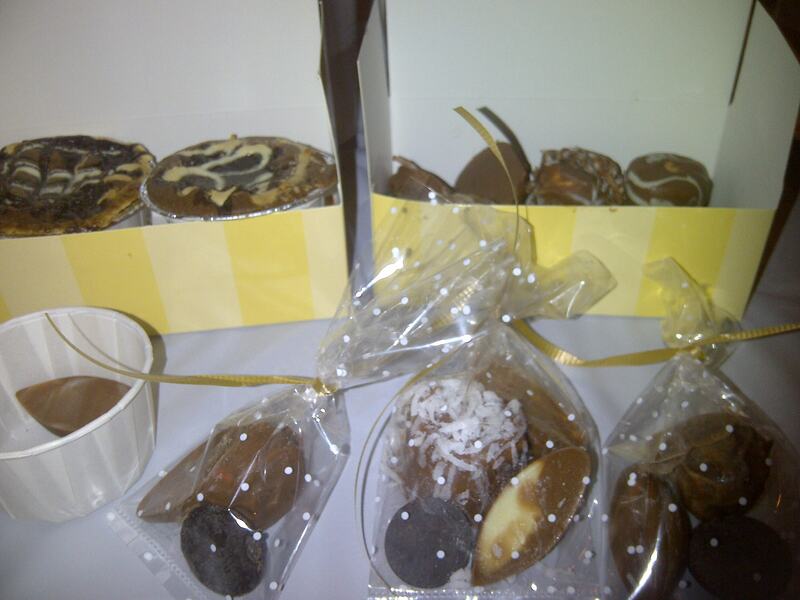 Then we were on our way as novice chocolatiers. We may or may not have devoured a chocolate, or two en route to the car. 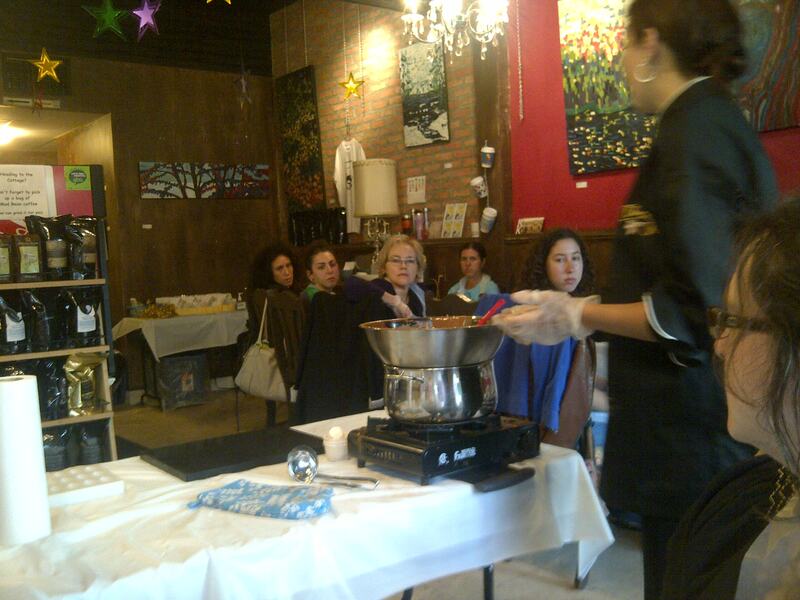 I thoroughly enjoyed the Chocolate Tales workshop. We learned a lot and loved having the opportunity to play with chocolate and take our creations home with us. I would definitely recommend this 90 minute class to anyone with a sweet tooth who is looking for a unique and fun experience! Ater this workshop, I definitely taste the difference between the good stuff and the not-so-good stuff! Thanks for reading , Erica! Hi Seph! I have never tried raw cacao. So neat that your Grandmother used to bring it from Trinidad! 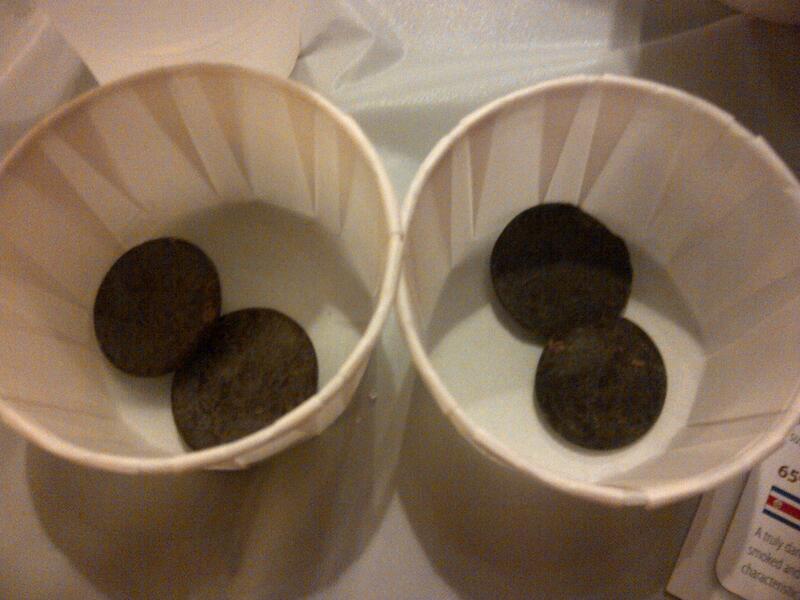 I want to learn more about working with chocolate, and do some more taste testing along the way! Seph – you mentioning your grandmother reminds me of the cocoa trees that were in my grandparents’ yard in Tobago! Come to think of it that could be why I love using cocoa butter so much. Still not a fan of dark chocolate though… go figure!